I was again inspired by one of my late mother’s signature dishes. This is one of the all time favourites for Penang-lang (Penangite in hokkien). 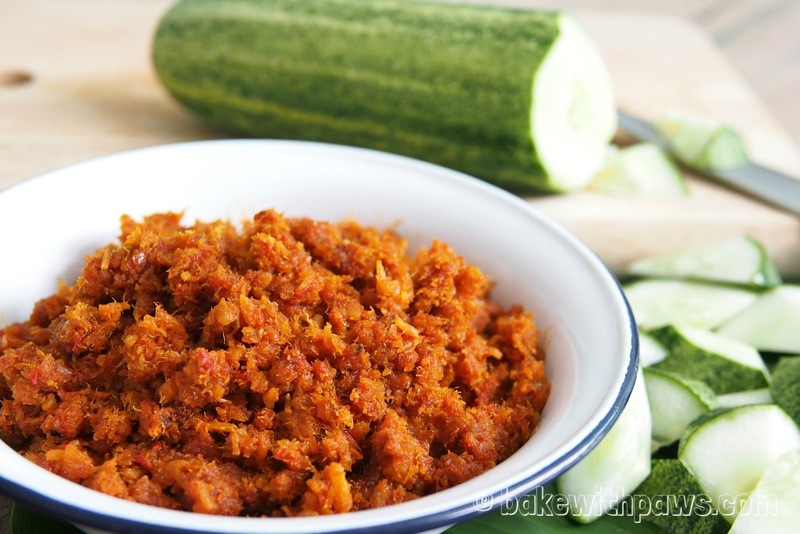 I remember those days my brother could finish all the sambal hebi by himself. 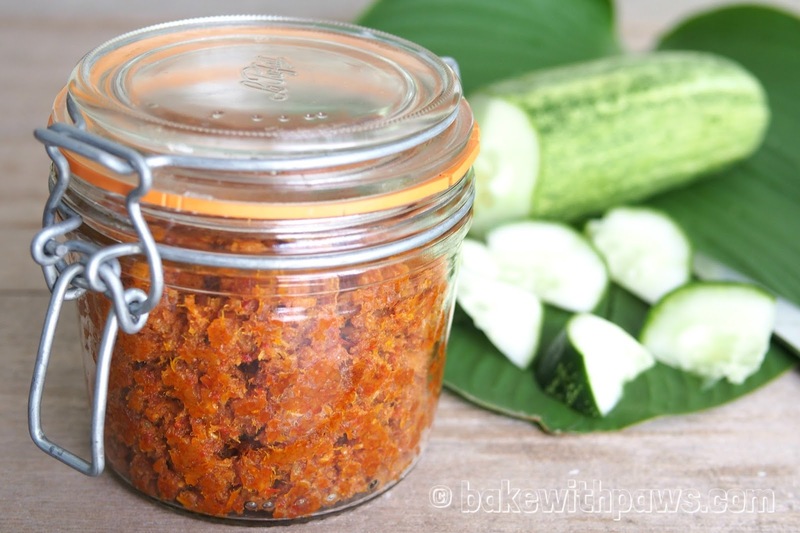 Back in my home in Penang, we love to eat the sambal hebi together with cucumber as they pair very well together. Wash and soak the dried shrimp in water for 10 minutes and drain. 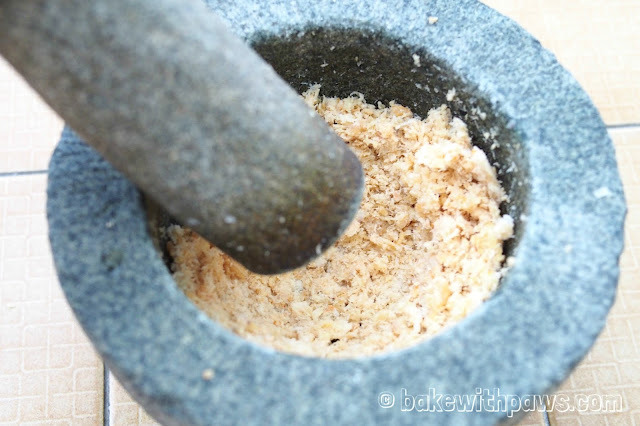 Grind the dried shrimp with a mortar and pestle or food processor until fine. Set aside. Heat oil in a non-stick pan and saute ground spices paste and kaffir lime leave until fragrant and change to darker color. Add ground dried shrimp and stir well. Then add in the seasoning ingredients and some water. Stir the mixture constantly to prevent from burning. Cook over a gentle heat until dry and brown. 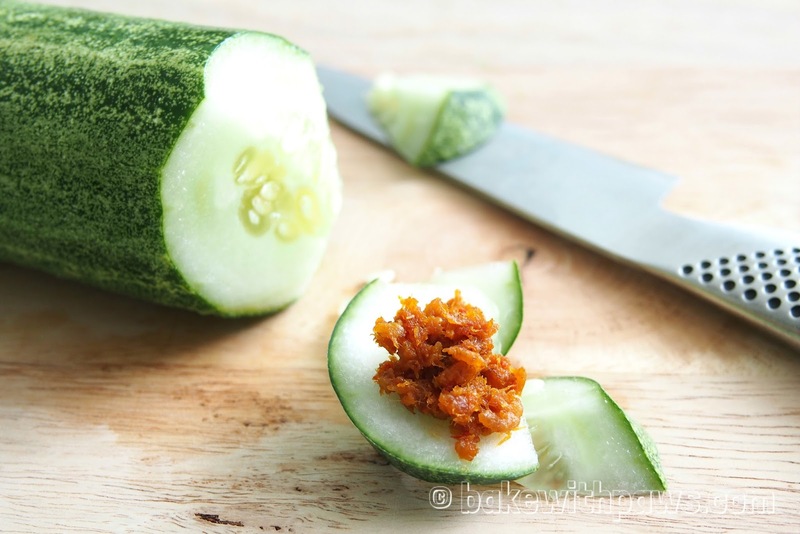 Serve cool with steamed rice or eat together with cucumber.